The UK’s biggest ambulance service is marking Australia Day, 26 January, by celebrating the Australians working in its team, as it prepares to hire more medics from Down Under. Nearly 25 per cent of London Ambulance Service paramedics are Australian. 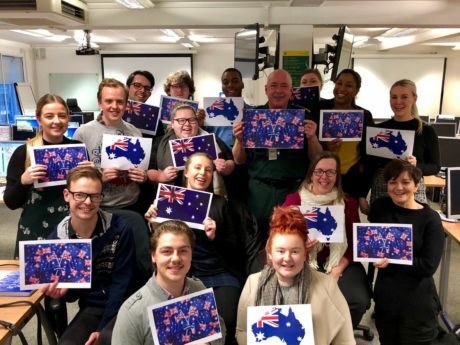 Many of the more than 500 Aussies in the Service will spend the day on shifts 10,000 miles away from their country of origin, helping Londoners in need. The Service first began a recruitment campaign to attract Australian paramedics in 2014. At the time a national shortage of paramedics in the UK meant that the Service looked to Australia because the skills and training closely match those in the UK. In the original campaign, Australians hoping to apply their skills to save lives in London were attracted by the chance to work in a world-famous city in a job like no other – in what was called “No Ordinary Challenge”. The Service aspires to be the employer of choice for UK paramedics and new graduates, alongside continuing to build relationships with Australian and New Zealand partners. The Service is returning to Australia in February to interview around 250 more Aussie paramedic hopefuls. Interviews are being held in Perth, Melbourne and Sydney from 12 to 24 February. Interviews will also be held in Auckland in New Zealand. For many of London Ambulance Service’s existing Australian contingent, as their friends and family enjoy the public holiday back home, their National Day will involve responding across the capital to those in need. “The Australians we’ve welcomed to our team so far have been a real asset to the Service and to the people of London. “We’re excited to be bringing more Australian medics to the Service to respond to those in need in the capital. Ben joined the Service three and a half years ago and was one of the first Australians to join our hazardous area response team (HART). 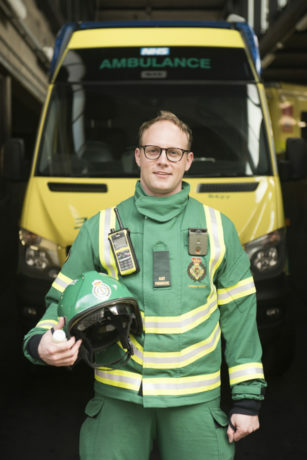 He’s been in the unit – specially trained medics who provide life-saving medical care in hazardous and challenging environments – for a year and a half. “If anyone is thinking about joining London Ambulance Service from abroad I would definitely recommend doing it. Believe it or not – I moved here for the weather! David says he’s been really looking forward to Australia day – though he’s not planning on having a BBQ – but he’ll enjoy a lamb shank and celebrate! Auckland- 22 and 23 February.